MANILA, PHILIPPINES, FEBRUARY 24, 2014 – Author Mitch Albom visited the ravaged Tacloban region of the Philippines Monday to announce a relief effort aimed at students affected by super typhoon Yolanda last November. “I am blessed to have many Filipino readers, including many students, and I wanted to do something to help,” Albom said, during a visit to the Pawing Elementary School, one of scores of schools reduced to makeshift classes after the typhoon devastated their infrastructure. 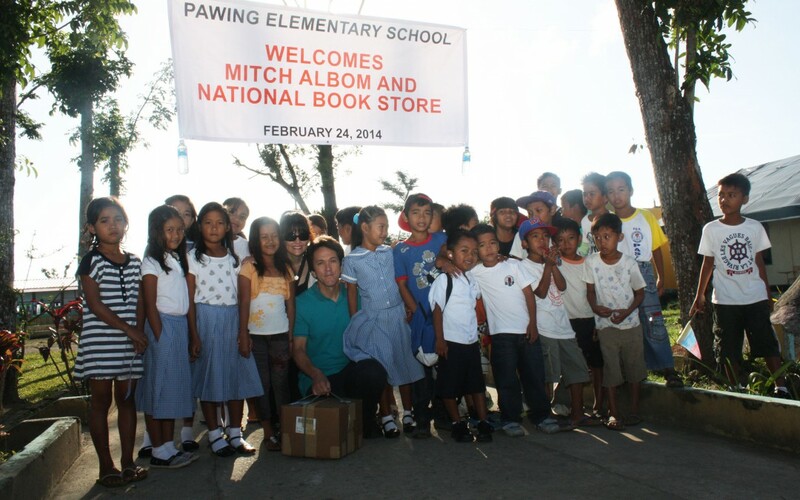 Albom revealed he was establishing the Donated Reading for Youth of the Philippines (D.R.Y. 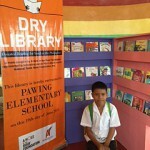 LIBRARIES) to reconstruct 10 school libraries destroyed by Yolanda and stock them with books. Albom pledged to help raise $160,000 needed for construction, partnering with The National Book Store Foundation here in the Philippines to get it done quickly. 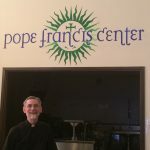 He said he would start with a $10,000 donation of his own. The NBS Foundation has said it will match funds raised by Albom on a dollar for dollar basis until the goal is met. In addition Albom pledged hundreds of copies of his own books to start filling the shelves, and then made a surprise announcement. Albom was able to secure pledges of at least 10 personalized books, one for each library, from dozens of popular writers, including Jeff Kinney (“The Wimpy Kid” series) Suzanne Collins (“The Hunger Games”) Stephen King, Nicholas Sparks, Amy Tan, John Grisham, JK Rowling, John Green, Lemony Snicket (Daniel Handler) Khaled Husseini, Scott Turrow, James Patterson, Sophie Kinsella, Michael Chabon, Maggie Stiefvater, Dave Barry, James McBride, Harlan Coben, Billy Collins and many more. Albom has been visiting the Philippines since early last week. He purchased and donated 40 yellow fishing boats to help affected fisherman in the region. He then dropped in on classrooms in Tacloban and the Leyte district Monday, and gave books to the children and teachers. He also visited the mass graves in San Joaquin where hundreds of bodies are buried, including many children. One such grave is in the shadow of one of the sites where DRY plans to build a new library. 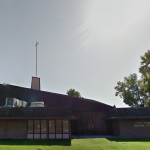 Albom will coordinate the DRY program through his A Hole In The Roof Foundation, a 501c3 charity which is involved in rebuilding for the homeless after disasters, and has been operating an orphanage in Haiti since 2010, after the devastating earthquake. Albom and NBS Foundation said their goal is to begin construction on the first three libraries by late spring.